City-builder/survival game Frostpunk is coming to consoles this year. Focusing heavily on the moral side of things, it’s not your regular city-builder. You’ve got to not only plan your city, balance resources and keep your citizens happy, but also make really tough moral choices. You could send children to work in not-too-dangerous jobs, which would give you more manpower, but that can lead to injuries, or at the very least, angry parents. But with the cold and frost doing their best to kill everyone under your control, sometimes the hard decisions must be made. 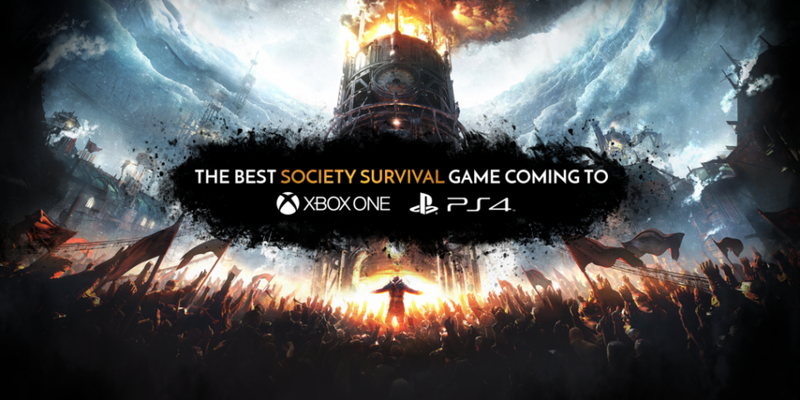 Frostpunk was originally launched on PC in April 2018 and has since been nominated for a BAFTA, a Golden Joystick Award and at The Game Awards 2018. The console edition will include all of the updates and new scenarios added to the PC version and is set to launch this summer.